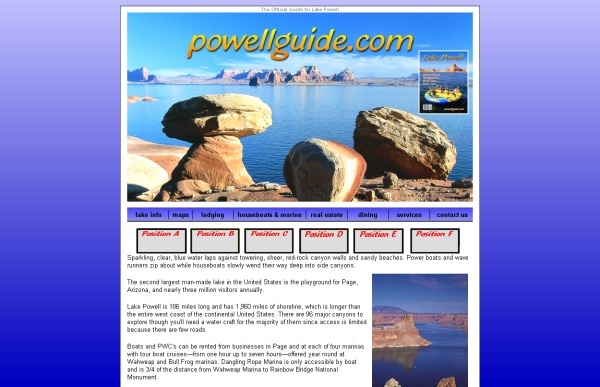 Single banner ad on powellguide.com homepage linking directly to your website. Your provided banner ad graphic linking to your provided website link. Start driving business to your website, choose your position, upload your banner and we will get it online within 48 hours!